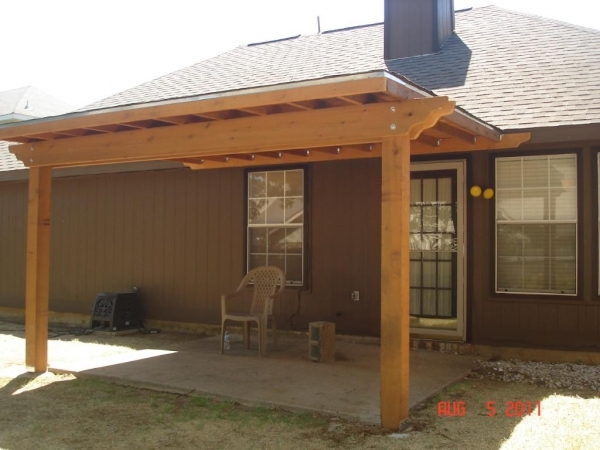 Enhance the natural beauty and comfort of your outdoor environment with increased shade and privacy. Our beautiful and functional patio covers, arbors, and fencing add a unique and subtle enhancement that compliments any property. 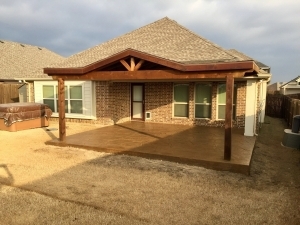 McFall Masonry and Construction specializes in wood patio covers for homes in the Dallas area. 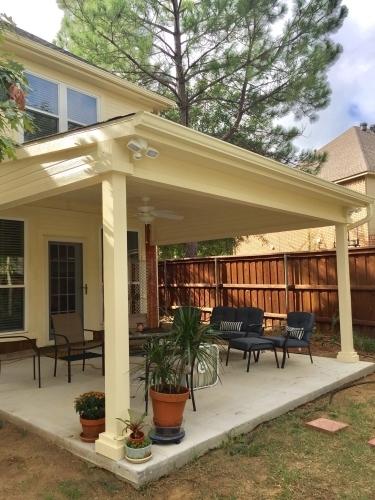 Our patio covers are a fantastic way to provide shade and shelter for any outdoor area. Not only will our patio covers be a great addition to your backyard, they will also help raise your home’s property value. 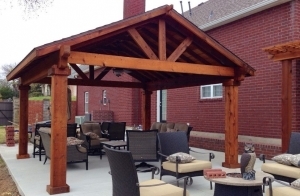 Patio covers come in a variety of wood species, such as pressure treated pine, cedar, redwood, oak, cypress and teak. 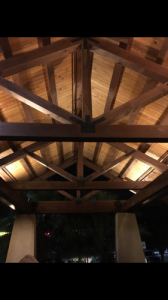 Our patio covers are affordable and created uniquely for each customer. Garden arbors are an excellent and affordable way to accent any backyard or garden area. 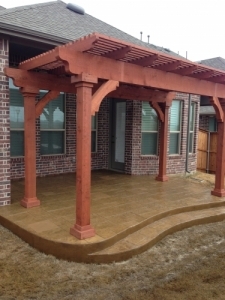 McFall Masonry & Construction provides a selection of arbors that will add architectural flair to any home. Our construction service is the ultimate source for arbors of every size, finish, style, and material. We are skilled in metal, vinyl and wood arbors, all of which allow plants such as vines, roses and several other types of climbing plants a medium to grow and flourish. At McFall Masonry and Construction, we supply you with the desired fencing that best fits your home. We have experience in vinyl, chain link, picket, wrought iron. or privacy fencing. Beautify and protect your property with our many fencing options. The McFall Masonry and Construction staff is dedicated to providing every customer top-notch expertise when it comes to all your fencing needs. Wrought iron fencing adds a timeless and rustic beauty to any property. This type of fence is best installed on level or flat terrain. It may also be installed on top of a retaining wall. Wrought iron is a rigid fence, which means it is not flexible. It must be stepped if the grade is sloped. Contact us today for more information about constructing a new patio cover, arbor, and fencing services and to schedule a free consultation.